For any business website has to be perfect in all the respects. Let it be the design or specifically the development aspect. Before we could start a little discussion on the usefulness of Drupal development, we have to make it sure that we know why a content management system like Drupal (an open source) has become so popular. While looks of a website need to be attractive, the functionality got to be smooth and dependable. The back end programming of any site got to be strong and secure. Here comes the idea of content management system (CMS) like Drupal. It is not that custom PHP development is insufficient to build a user-friendly and secure website! The point is why not use a ready open source framework that can offer quick customization facility to create a website in the fastest possible way without having any worry about its structure and different functionality! With this type of thought in mind several open source framework came into existence. You may have a question in mind - when there are so many other sources like Joomla, WordPress available, why go for Drupal? Easy use of custom content types and view: While in other CMS the developers would have to write codes for creating new content types and advanced custom views, Drupal developers can have this done easily with Content Construction Kit (CCK) and Views Modules. They can create “blog posts", "news stories", "forum posts", "tutorials", "classified ads" and can display those in many different ways. Powerful category system: In Drupal there is one of the best taxonomy systems available. It has made tagging and organizing categories very easy. Drupal “vocabulary” can be limited to certain content types and for this sets content types have own sets of categories. There is hardly another development framework that can offer you such easy to organize hierarchical categories, with single or multiple parent categories (possible to set as per requirement). Structured user management: Drupal was built aiming at developing community websites. For this very reason it has well structured user role and access management functionality. Create roles of your choice ("moderator", "editor", "webmaster", "admin" etc.) and those have different levels of access and features controlled by you “super admin”. Revision control system: No other CMS has this feature to save a new version of pages every time they are edited. It means the editor has opportunity to go back to view or revert old revisions as and when required. Power of Node and URL Alias: In Drupal each content item is named as Node and custom URL is URL Alias. These are nothing but powers to a developer in giving content items customized URLs. Use Pathauto Module to automate custom URL structures for each different content type. There is no tension of 301 redirects as Drupal has Global Redirect Module that automatically redirects internal Drupal URL to custom URL created by the developer. Drupal cookbook at your service: Thanks to Drupal.org to have the code snippet section that helps the developers to get any code snippet you do not built into Drupal. Most of the times searching this section your problem is solved. There are almost no worries in developing features of your choice. Are you still having any confusion regarding the choice of Drupal for your website development! If you have doubts as your freelance web developer – I am here to help you in all the respects. Once you engage me as your personal web developer, all your worries vanish. You remain sure that your site is best developed with the best of functionality that satisfy you to own a website highly secure in development, smooth in use (affordable in budget as I assure you always that). 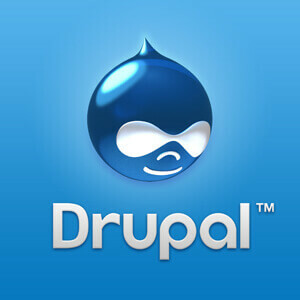 You are a call or mail away to get your website developed in Drupal.